Touching Tiny Lives in Lesotho: Happy Moshoeshoe Day! 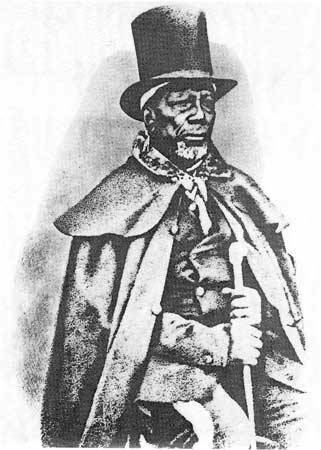 King Moshoeshoe I is revered in Lesotho, which goes without saying considering he was the country’s first reigning monarch. Some describe Moshoeshoe (pronounced ‘Mo-SHWAY-shway’) as a man of great wisdom, character, and diplomacy, arguably good qualities in the leader of a new nation. Amidst the 1868 conflict against the Free State in modern day South Africa, Moshoeshoe led his people to the top of Thaba-Bosiu, the ‘Mountain at Night.’ For nine days, the mountain became a fortress against invasion as Moshoeshoe strove to find a peaceful resolution. He ultimately succeeded and today Thaba-Bosiu has become a symbol of nation building, closely associated with King Moshoeshoe himself, who is now buried there. Each year on Moshoeshoe Day Basotho travel to pay their respects to the beloved leader. The 11th of March commemorates the death of Moshoeshoe. As a solemn occasion, however, the holiday celebrations are small and personal to each Masotho. Many will wear traditional dress on this day; local businesses are closed; and communities may gather for a drink and good time. Around the world, Moshoeshoe Day festivities are aimed at celebrating Basotho heritage and the Sesotho language. It is also an opportunity for non-Basotho to learn a bit more about the little Mountain kingdom. So next 11th of March, be sure to wish your friends and neighbors a Happy Moshoeshoe Day!